How lucky are we to have amongst our fabulous clientele Scotland’s first female diver to have won a Commonwealth Games GOLD medal! We asked the amazing Grace Reid to bring her Commonwealth medal along today to her appointment with Emily. It was beautiful! Grace flew in from Russia only this morning after competing in the 2018 FINA Diving World Series in Kazan. 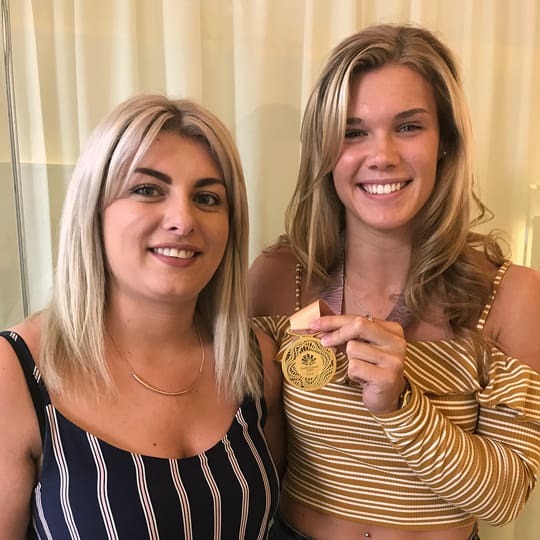 She and Tom Daley picked up their fourth successive silver medal in the mixed 3m Synchro Springboard competition and she picked up bronze in the Women’s 3m Synchro Platform with fellow diver Kat Torrance. Congratulations…what a year so far! Appointments with Emily or any of our talented stylists across Charlie Miller’s five Edinburgh salons, can be booked online here.